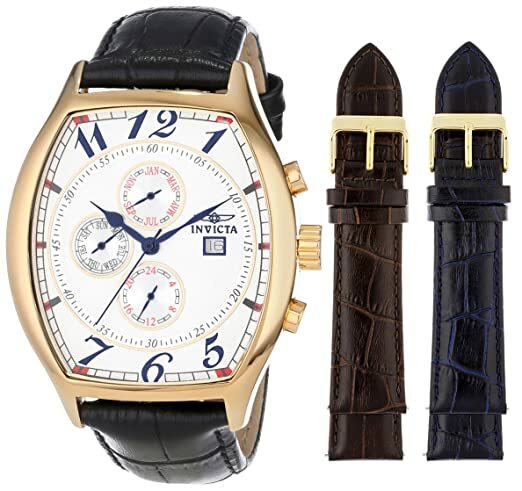 The sensational watch brand, Invicta Watches, has some products designed especially for you. Instead of selling watches at incredibly high prices, Invicta produces for the average consumer. This company has deals you will not want to miss. Which collections of Invicta watches are popular? With almost two hundred years in the watch-making business, Invicta Watches are experts in their trade. They are a professional company with varieties of watches available so that each customer can find the perfect fit for them. Started in Switzerland in 1837, the company now has its headquarters in Florida. 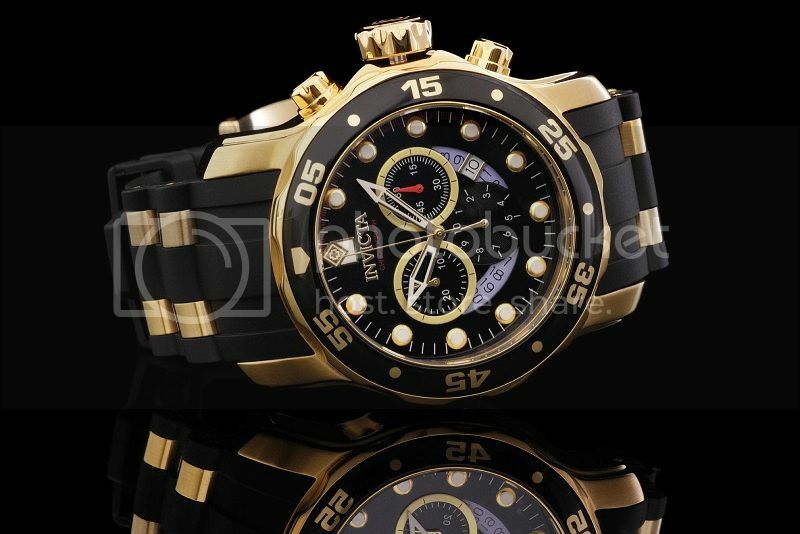 The name “Invicta” means invincible in Latin, and invincible describes their indestructible product well. The watches they produce are of outstanding quality; Swiss watches have always been prized. Invicta uses top-quality components to produces their watches, meaning that they last well and function efficiently. Invicta is not simply a business focused on making profits for themselves. The also have established the Invicta Foundation. This foundation was started to support those who served or are serving in the armed forces. They make grants and provide homes for those who have served. 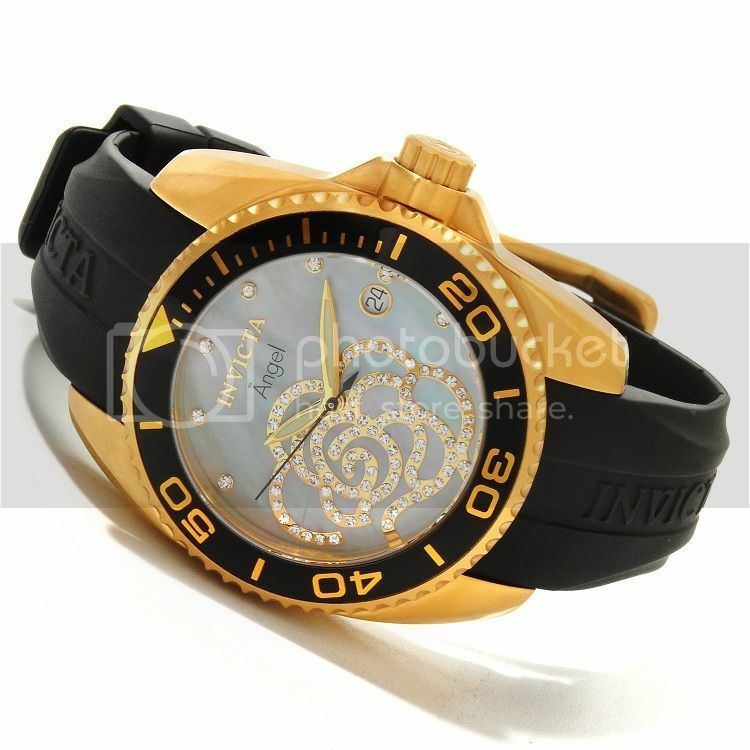 Additionaly, this company has watches made from Swiss movement, and their products are available at affordable prices. Many owners of Invicta watches say that when you buy one of the many options priced under $300, you are getting an excellent deal. However, consumers caution that if you spend more than that on a watch from Invicta, you will not be getting such a good deal. Their better watches are those priced in the $200-$300 range. If you are looking for a more expensive option, you will receive a better bargain from another brand. Timepieces are as much about taste and personal statement as they are about functionality. They can be viewed as fashion accessories, accentuations of the wearer’s personality or as standalone items of adulation. It is perhaps therefore truer than ever that a consumer no longer buys a watch for the purpose of timekeeping, but more for, at the very least, self-satisfaction and desirability. Indeed, gone are the days when individuals would own simply one watch, now, they own occasional watches or moreover watches for every occasion. 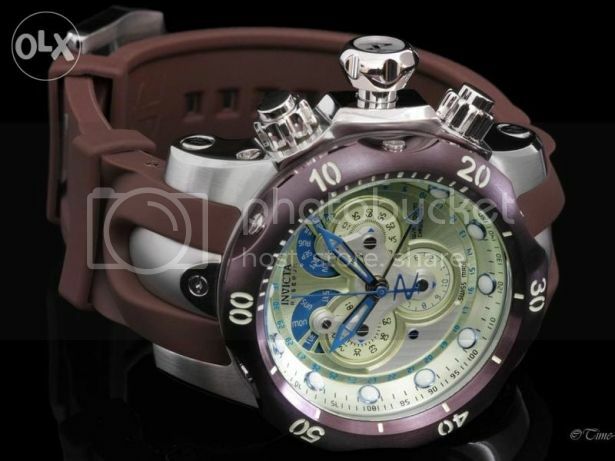 Invicta has thirty collections of differently styled and designed watches. Even though all have their positive elements, these five collections are the most popular. 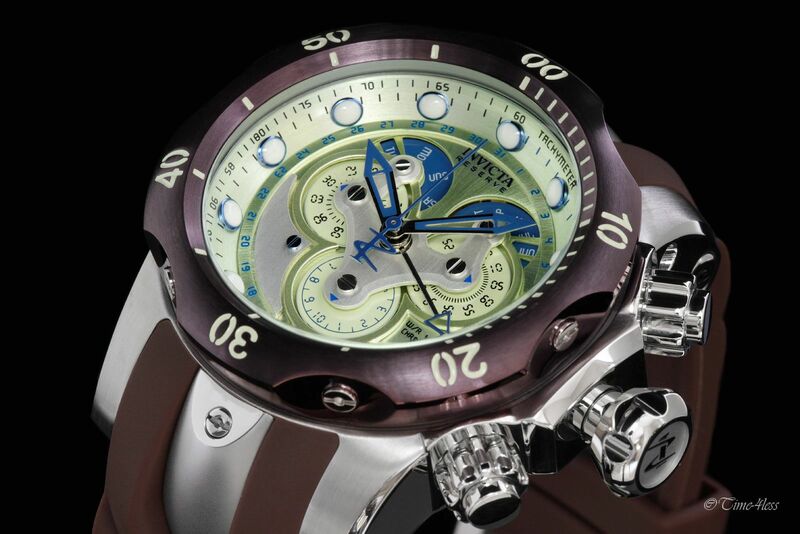 Pro diver watches specialize in their masculine style and admirable design. The Venom collection has a classy look that can be paired with a black leather band or a more professional band in silver. Speedway is a smaller watch version with solid bracelet links. Angel watches are a collection of ladies’ watches with a wide range of styles. Specialty watches are bulkier and built for bigger men. The Speedway collection offers an extremely low price, under $80, which is very good value considering all the features you will receive. The band width is 23 millimeters with various color options. The Bezel is made from stainless steel. The watch is water resistant and weighs only 5.92 ounces, making it one of Invicta’s lightest watches. Lastly, this watch contains an analog display and has the unique feature of being shock resistant. Many customers had positive experiences. They say the watch is beautiful and works well. It could be compared to a Rolex in its design, and others will be surprised when you explain that it is not. Additionally, the watch is detailed with a nice finish. The time piece is accurate and functional. Last of all, customers say the watch is solidly built, and they have no complaints. Negative reviewers on this watch have stated that it worked well in the beginning, but did not last long. When the battery runs down, and consumers try to replace the battery, the watch never functions as it did before. 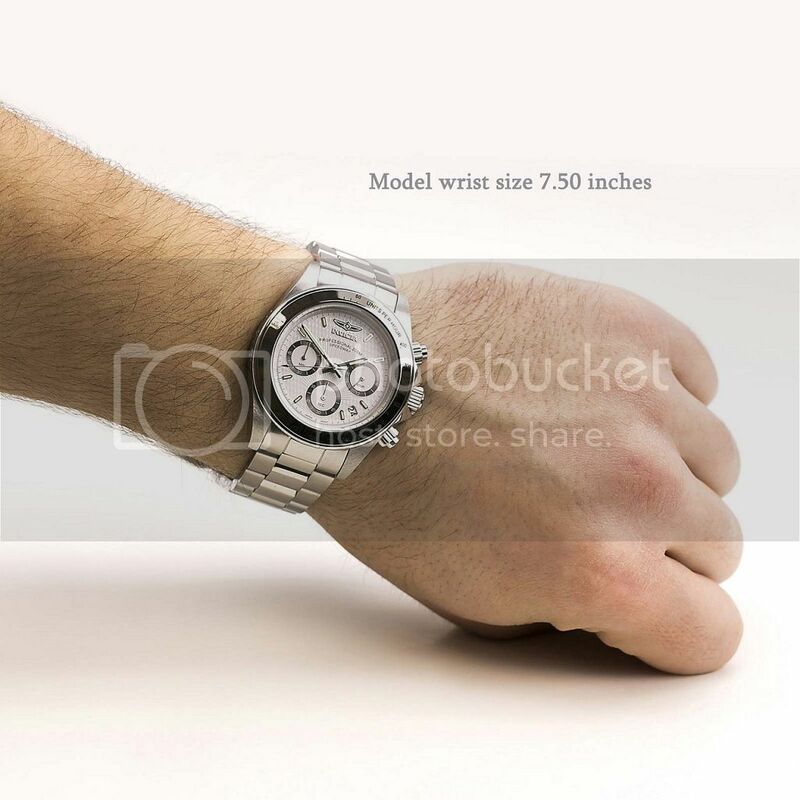 Because of the watch’s small size, it should only be used for smaller men. These watches are a line for women and have a feminine, but professional appearance. The band width is 20 millimeters and the standard women’s length. The dial color is mother of pearl, while the bezel material is gold-plated stainless steel. This watch’s calendar feature displays the date. Additionally, this watch is luminous and measures seconds. The time is measured by Swiss quartz. This watch has many positive qualities, and many consumers used the watch for multiple months with zero problems. 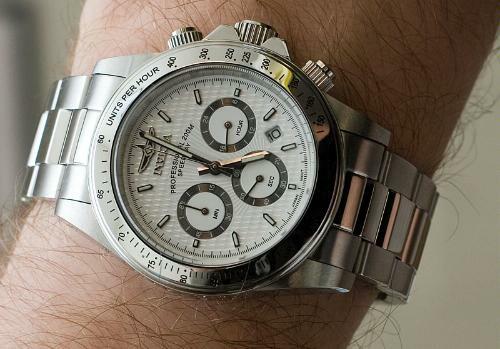 As one of Invicta’s less expensive watches, you receive a lot of quality for the price. The mix of gold and black colors received many compliments for its difference. This watch is well-built and makes a great gift. It does sport a longer band, which some women preferred while others did not. The surface was finished well and fought against scratches. Customers described the watch as elegant and a luxury. However, customers have complained saying that the watch hands had trouble functioning properly, and the time-telling pins did not stay in place. A jeweler suggested that the problem was its lack of curved pins in place of the straight pins designed for its creation. A few also complained that the strap broke rapidly. However, every watch has a few faulty productions. That does not necessarily mean that the watch design is negative. wearer is larger, he will get used to the weight. However, if not, the watch may seem bulky and not as enjoyable to the wearer. It sports an analog display with a buckle clasp. Swiss quartz is used to keep time, and the watch displays the day of the month. Last of all, the watch boasts a water resistant depth of up to 330 feet. On one hand, this watch has many positives. The setting up process is simple and fast and has not given customers any trouble. Additionally, many users have gotten compliments and admiration for the watch’s beautiful design. The watch is available in various colors and designs to fit your taste, and the price is very affordable. Different customers have called the watch classy, masculine, handsome, and perfect. On the downside, this watch has no glow-in-the-dark feature, and you will not be able to tell the time in the dark. Some customers have had trouble with the water resistant piece of its design. They have said that you must check that the rubber seal is in place before you use it in water, so that you do not end up with a non-functioning watch on your hands. This watch is built with a stainless steel case. The band is standard length with a width of 26 millimeters. This watch contains bezel material that rotates counterclockwise. This function can be used to measure elapsed time; one use is for divers to measure how long they have been underwater. The calendar feature contains the day, date, and month to give you this information in a convenient place. Additionally, the Venom series is water resistant up to 3280 feet. Over 93% of the reviews have been positive. This watch is precise in its timekeeping and has pleased many customers. The style is impressive. The ten minute markers are labeled with Arabic numbers, causing it to be an easy-to-read watch. A unique feature of this watch is its illuminated white hour markers. It also boasts subdials that operate at different speeds, giving you different information depend on which one you see. This watch has lived up to its’ water resistant claims, and customers have not had problems in that area. This particular watch has not received many complaints or negative feedback. Overall, this watch seems to have been very well recepted. While it is a bit more expensive, the extra price is worth paying. You will receive unmatched quality in this purchase. This specialty watch boasts 18 carat gold and three interchangeable leather bands. The bands are made from leather calfskin, and the calendar displays day, date, and month. This watch is special in its inclusion of a 1 year seller’s warranty. This watch’s movement is regulated by Swiss quartz. Additionally, it withstands brief splashes or immersion under water. However, the watch warns from the beginning that it was not designed for swimming. Built with a larger style, the Specialty collection should only be purchased by those who prefer larger watches. Satisfied customers far outweigh unsatisfied customers. Customers pointed out its special color changing feature of how the numbers can change from black to blue, depending on the amount of natural light. Clear second increments were viewable for precise time telling. Many customers were surprised that such an amazing watch was available at such a low price, and a few customers even bought multiple watches so they could give them to friends. Customers have experienced two main problems with this watch. First of all, reviewers have stated that the bottom button has trouble working or that it became stuck after the first use. The second problem is with the leather band’s flexibility. A few consumers said that the band was not as flexible as they expected, making them wonder how genuine the leather really was. Invicta Watches is a reliable brand, and on the whole, they produce reliable watches. Some of these watches come at bargain prices of less than $100, giving you a great look at an amazingly low price. If you prefer smaller watches, the Speedway collection will fit you better than other brands. However, if you don’t mind larger watches, the Venom collection has watches with much positive customer experience. Whatever your style, Invicta is sure to have a watch for you. I own over 20 watches with 14 Invicta watches including Jason Taylor Bolt Zeus and I love them. I am an ex watchmaker having worked on all high-end watches and for the money nothing beats Invicta. yesssss! they produces for the average consumer with high quality. Funny how all the reviews on here are positive. I have a invicta 6977 watch.. And have seen many people complain about the lose grip of wrist brands. But I haven’t had any issues with that. perhaps I have a giant wrist or what?? yes, nothing is perfect in this world, everything has its pros and cons, in general, they produce reliable watches. I love the big bulky shinny invicta watches!!!!!!! Yes Frank, This is really nice one. Thanks a lot for your review. Some day ago i have buy a invicta watches right now use it. Really it is a nice watch. I need to purchase 2 links for an 18mm rose gold over stainless invicta bracelet watch band. can you help me? I got this beautiful Angel watch for Xmas almost 3 years ago, have not been able to wear it, because it! s to small. Have not been able to purchase a band anywhere, where I live. I love the watch…it has a Morganite bezel with a pave diamond face. If I can not purchase just the links, can you help me find a new bracelet? 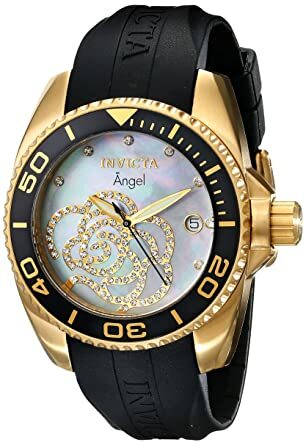 Invicta used to sell decent mid priced watches with bracelets and today if you look on Evine or any other site the majority of their timepieces are low end and more importantly on a rubber or leather strap. This tells me that Invicta is attempting to save money as sales are not what they used to be or are just making cheaper stuff. In any case I dont even look online at their watches anymore as I dont care for rubber or leather strap watches. Its an end of an era quite honestly. A shame really.